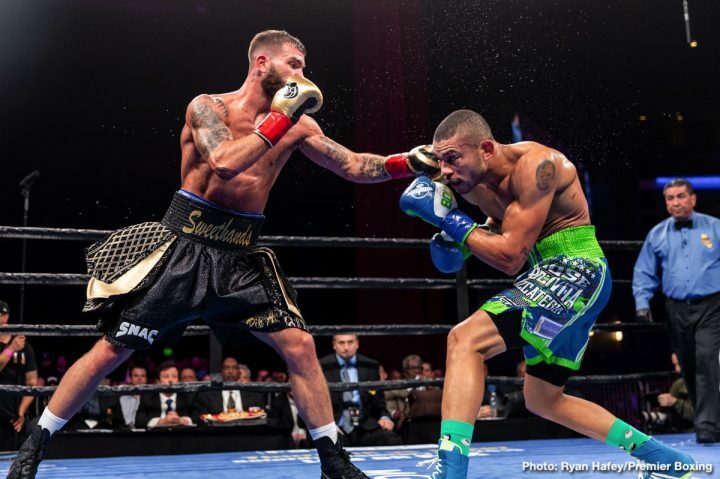 By Mike Smith: Caleb Plant unseated IBF super middleweight champion Jose Uzcategui of his title in his first defense last Sunday night in on Premier Boxing Champion on FS1 and Fox Deportes at the Microsoft Theater at L.A. Live in Los Angeles, California. Uzcategui says he wants a rematch, and he feels he should be given one because he gave Plant the opportunity to fight him for the IBF title. 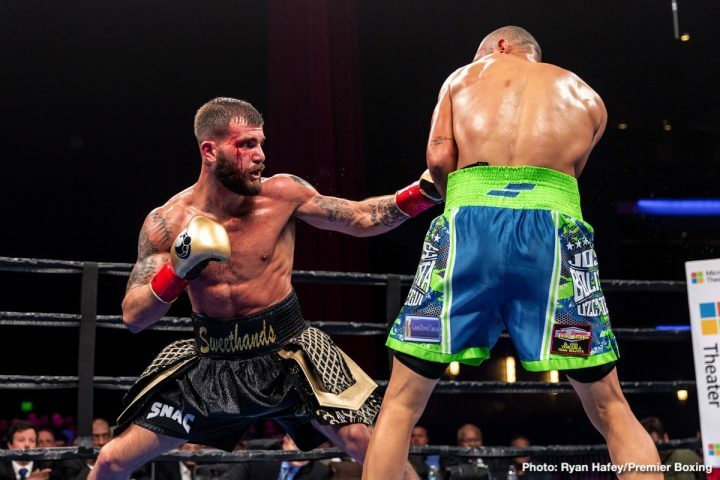 Plant was sharp in the first 4 rounds, but he on the move in the last 8 rounds after tiring and tasting Uzcategui’s considerable punching power. 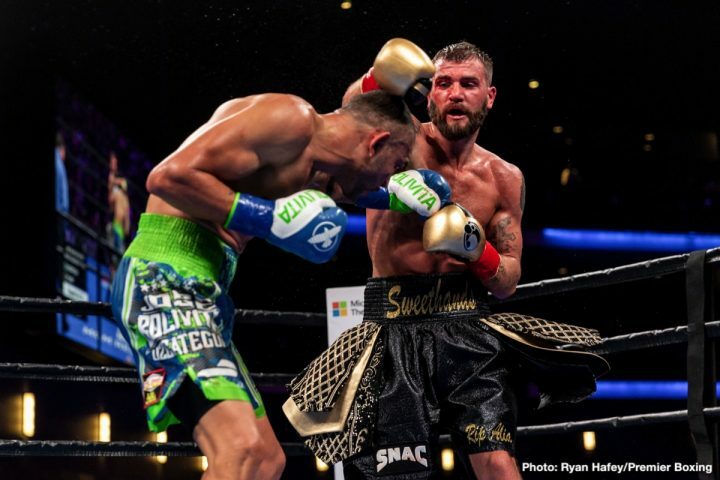 However, Plant knocked Uzcategui twice in the early rounds to build up a wide enough lead to sit on it for the remainder of the fight. The judges scored the fight 116-110, 116-110 and 115-111. 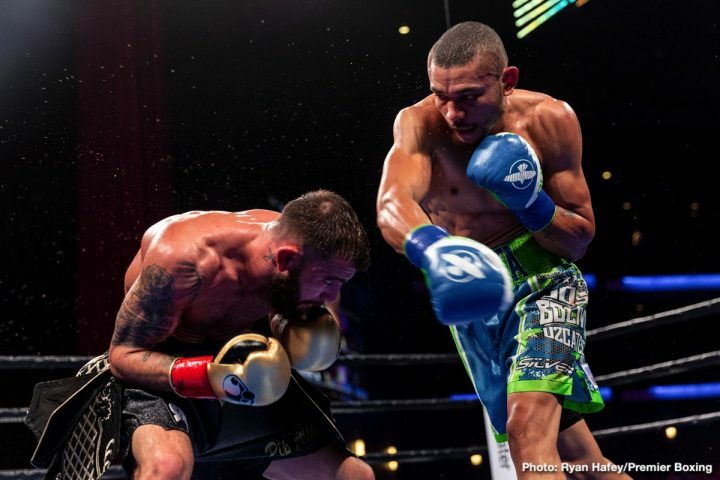 “I gave him the chance at the title and I would hope he would give me the chance to win it back,” Uzcategui said. Plant isn’t giving any hints about who he plans on facing in his first defense of his International Boxing Federation title. 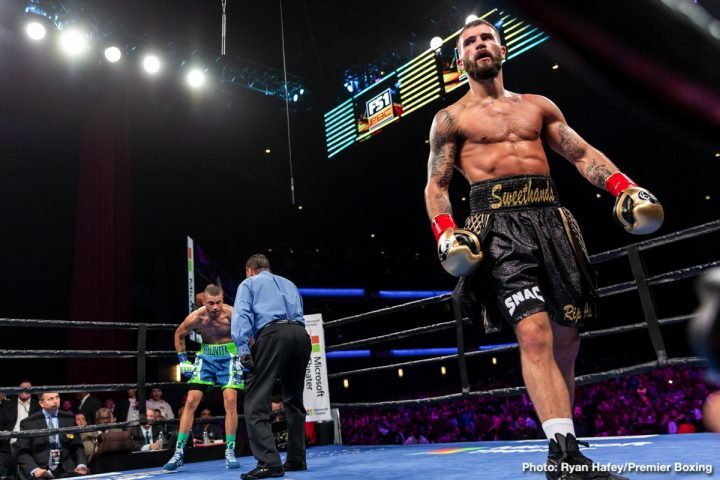 There are a lot of easy marks in the IBF’s top 15 that Plant could fight and likely beat with ease. The super middleweight division is not stacked of talent. The contenders are all beatable looking fighters for the most part. If Plant’s focus is to hold onto his newly won IBF title for as long as possible by fighting weak opposition, then he can probably hold onto it for many years before he eventually loses it once a good contender comes along. For Uzcategui’s sake, he shouldn’t hold his breath waiting for Plant to give him a rematch, because that might not ever happen. 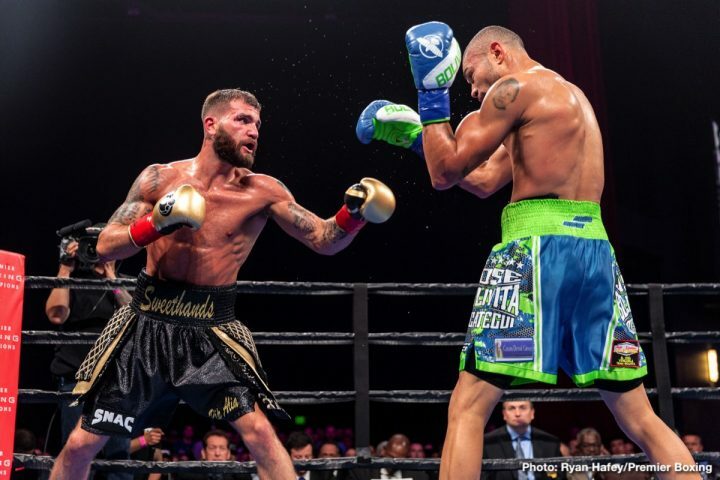 Plant has been wanting to become a world champion forever, and he’s probably not going to risk losing the title by facing Uzcategui again, as long as he can help it. More than likely, for Uzcategui to get a second fight with Plant, he’s going to need to wait until the International Boxing Federation makes him the mandatory challenger for the IBF belt. That could take years if the IBF drops Uzcategui to the bottom of their ranking or lower. 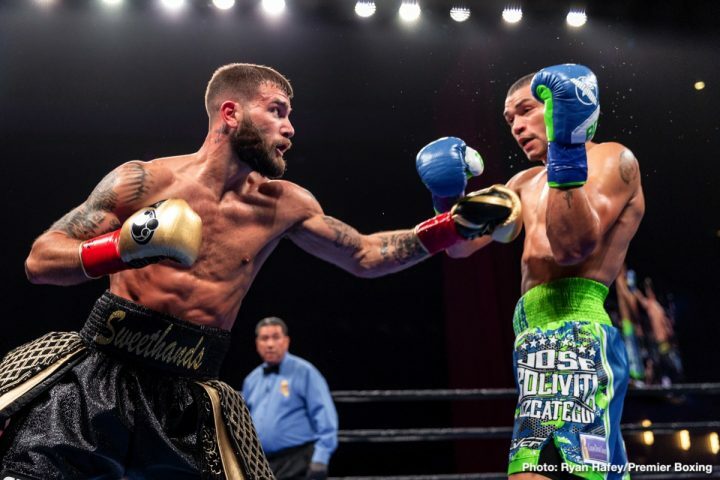 Plant’s nickname is ‘Sweethands,’ but he also seemed to have some sweet feet, because he was on the move much of the time in the last eight rounds. 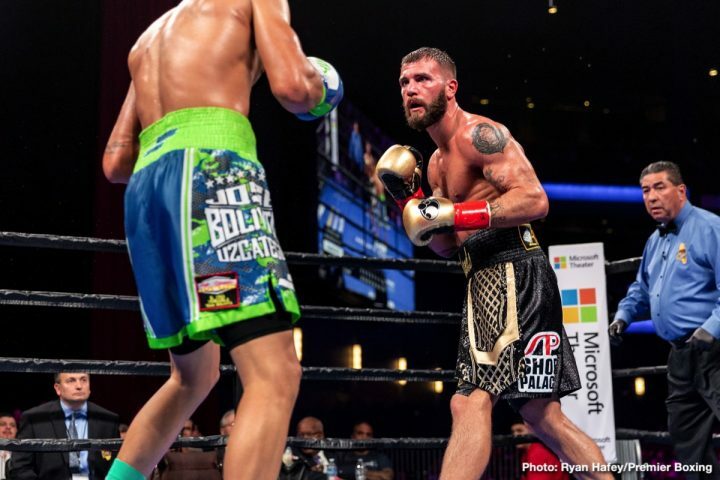 In basketball terms, Plant went into a stall after the 4th round, and he spent the lat three-fourths of the fight just sitting on his lead, clinching and not giving Uzcategui opportunities to land his big shots. 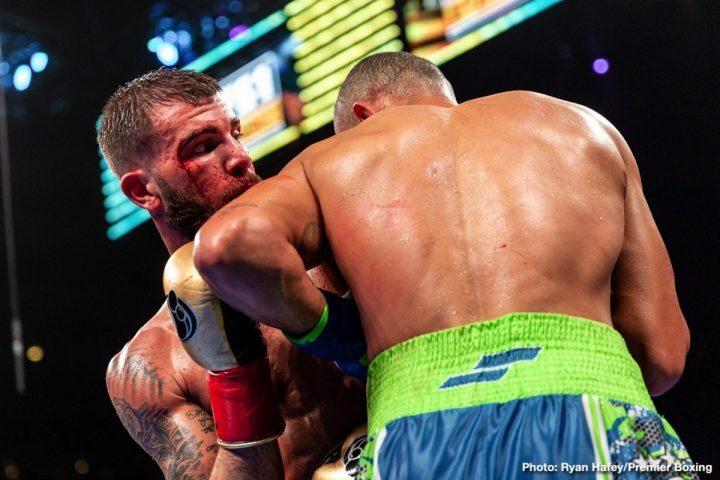 The two knockdowns that Uzcategui suffered were cases of him being off balance when he was hit. Although they technically still count as knockdowns under those conditions, Uzcategui wasn’t hurt. It was Plant that was hurt in the 9th round after getting hit hard by Uzcategui with a big right hand. It looked clear that Uzcategui slipped on one of the two knockdowns, but the referee still scored it as a knockdown anyway. 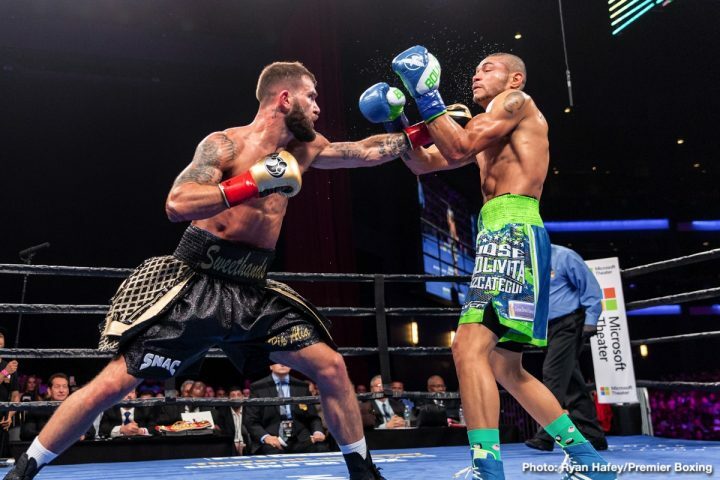 Uzcategui, as the IBF champion, was not given a break by the referee Jerry Cantu. 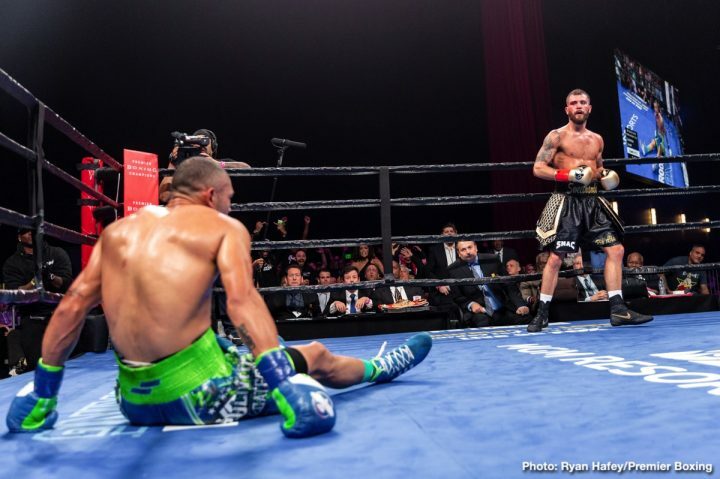 The referee could have done a better job of officiating the fight, as he blew the first knockdown call by ruling it as a knockdown instead of a slip. Later in the fight, the referee let Plant hold frequently. As for the future, Plant has chances for interesting fights depending on who his management wants to put him in with. I think it’s safe to say that his first defense of the IBF belt will be easy voluntary defense against someone like J’Leon Love, Arthur Abraham or Zach Parker. It would be nice to see Plant defend against southpaw Matt Korobov to see what he can do against him.